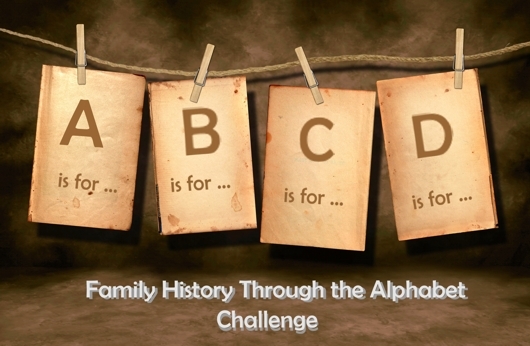 This entry was posted in Family History through the Alphabet and tagged attributes, Family History through the Alphabet by cassmob. Bookmark the permalink. Love it! Those are some very moving words you’ve chosen and so apt to family history research. I’m particularly fond of discernment and was going to use ‘doubt’ for my D post. It would’ve been a tribute to the number of times I’m muttered ‘hmmm, doubt it’. I had another more Australian word for discernment but thought I should be discerning in my choice of vocabulary. Sounds like we share a high degree of scepticism. Sometimes I wonder if I’m not too cynical. D is for Diligence : Careful and persistent effort. Thanks Geniaus. I’m starting to feel we must all be Wunderkinder. I agree with Fiona – what a wonderful bunch of words you’ve come up with again. The only others I thought of were Discover, though that’s not really an attribute, and Discretion, which we all know is needed when dealing with those sensitive family stories. Thanks. I think discretion is an excellent addition, which to be honest hadn’t crossed my mind in the D list. Another post showing great insight, particularly discernment. Can be tricky trying to weed out the fiction and decide which information is valid. Thanks Genealyn. Yes I truly think discernment is an important attribute for us to cultivate. What great attributes these are. Thanks, Cassmob and everyone. Totally Agree. I promise I didn’t copy but my blog is also Dedication and Determination (and I nearly added Driven). Great minds think alike!